Game to be played at highest seed. BIRMINGHAM, ALA. – The Southwestern Athletic Conference (SWAC) has announced that the upcoming 2018 SWAC Toyota Football Championship game initially scheduled to be played at Legion Field in Birmingham has been relocated. The title game is now slated to be held at the home venue of the SWAC institution with the highest ranking that qualifies for the championship game. If required, tiebreakers in the league’s constitution and bylaws will be used to determine team rankings heading into the championship game. “Upon arriving at the conference office in September, it was brought to my attention of a potential scheduling conflict at Legion Field if the University of Alabama at Birmingham was to qualify to host the 2018 Conference USA Football Championship game,” said SWAC Commissioner Dr. Charles McClelland. 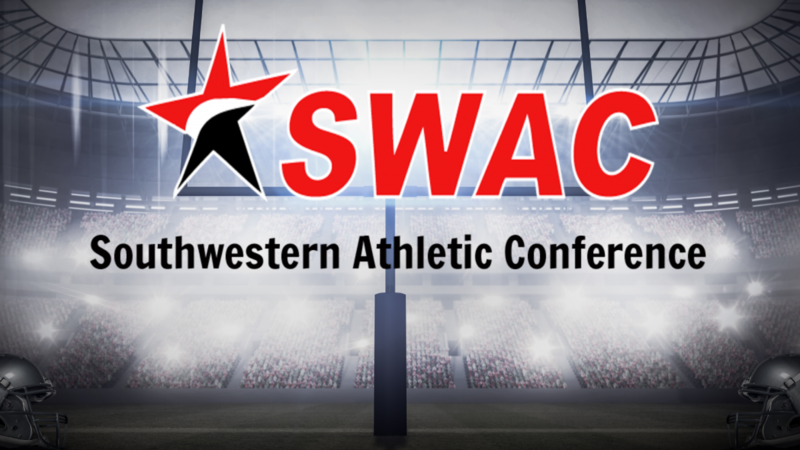 As previously announced the 2018 SWAC Championship game will be played on Saturday, December 1st at 3:30 pm (CST). The game is scheduled to be broadcast live on ESPNU and will also be available live and on-demand on the WatchESPN App.